The forgiving party of nine who composed my first adult garden walk at RSABG happily went along with my descriptions of the plant collection in the garden. One knowledgeable guest inquired if she were seeing Sisyrinchium bellum in bloom? 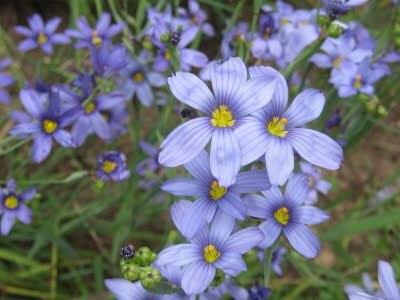 I replied that she was seeing Blue-Eyed Grass and the dear lady sweetly informed me that they were the same. I have much to learn.